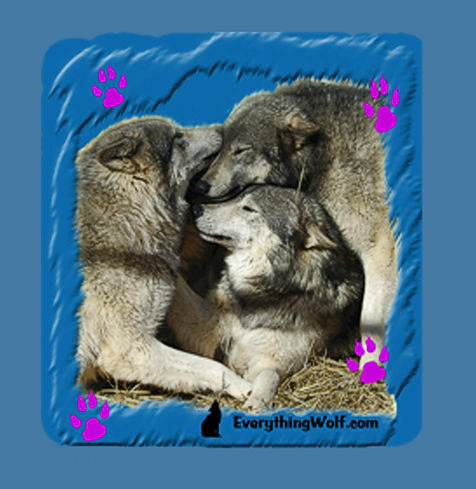 The Wolf Rally Nightshirt features a graphic from a photo that was taken of our Wolves in a close rally. You could feel the love and respect that they have for each other. The nightshirt is 100% cotton knit and fits up to a 3XL. The oversized cut provides roomy comfort for lounging or sleeping. The trim is double stitched for durability. Machine wash inside out in cold water and tumble dry low. Do not use bleach. Do not iron the part of the nightshirt that has the graphic on it.